Our Father in heaven Hallowed be Your Name ABBA Father Is. 9:6 Thy Kingdom come. Thy will be done. On earth as it is in Heaven. James Brokenshire the new Housing, Communities and Local Government Secretary. Penny Mordaunt the new Women's and Equalities Minister. We declare, this is a new day when You are shifting Government, local and national within this land, for Your Kingdom to come in increasing measure, reigning above every political, social and economic worldview, agenda and generational allegiance. Even as God’s word states in Proverbs 29: 18 AMP “without redemptive revelation the people perish” In the Name of Jesus, we declare Your appointment over every position being contested. We declare those elected will carry and implement God given vision and we speak Godly design into all layers of local Government and administration. Now we stand as Your Ekklesia and we speak righteousness into every aspect of the election process. We decree the democratic process in this land, will be rightly and fairly administered and implemented, untainted by any form of manipulation, scandal or interference. NB Concerning the Home office: We speak peace into every storm that has been stirred and take authority over any plan of the enemy to shift or distract government at this time. 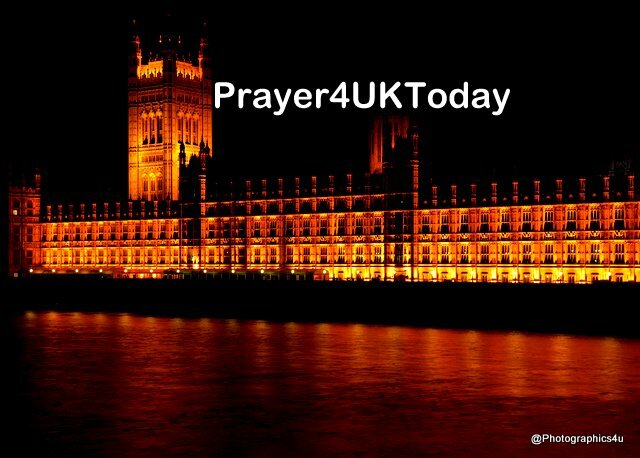 In the Name of Jesus, we speak Your righteousness, justice and truth into the current situation, we call forth Your plan and purpose for Amber Rudd, for the Home Office, and for all those whose lives have been affected. Abba, you showed me how many pastors out there are hurt. Many of them have been wounded during their childhood. They had a father who put heavy expectations on their backs. No matter how hard they tried to please their Papa, it was never ever enough. Some did not have a father at all. He left when they were young. Some were smothered in love and grew up with too much love and without borders and being disciplined, while other faced the opposite. And now LORD, while carrying these kind of wounds in their hearts they cannot tend the flock as YOU want them to do. They do the same to their spiritual children, and because they are wounded themselves they run from building to building and travel and are busy to create their own wonderland. To BE someone they never have been. LOVED! We come before your throne Papa. You know all of their names. We cast out every evil spirit, We cast out hidden anger. Let it come out in the weeks to come. Let it be heard, so the Father can heal you! Speak to HIM. Tell HIM in all honesty. Tell HIM your bitterness and loneliness and your drive to become someone! He will heal you and you will be the shepherd HE wants you to be! First YOU need to know you are LOVED! FORGIVE your father, even when he was not there for you. He shares a same kind of story! We pray LORD, the pastors will stand in their call. It is an awesome call to tend your flock! We pray healing and deliverance also from the curses out of the line of ancestors and forefathers. We pray a total turn around in your situation. We pray new divine vision how to tend the flock Abba gave you! We speak forth that as soon HIS love will shine over your pasture more people will come and listen to HIS word. Abba can work then with sign and wonders! LOVE, HIS LOVE will conquer all! We pray shalom and blessings over you in Yeshua’s (Jesus) name. Amen. Please pass this prayer to all the Pastors you know. Heavenly Father, we give thanks for our government. We pray for Amber Rudd and ask that You will guide her with Your Spirit of Wisdom as she deals with the Windrush issue and Immigration. We ask that Your righteousness and Justice be established. and cut off the wicked.